Tom Gore is a second-generation grape farmer from Sonoma County and from the time he learned to walk, he was stomping alongside his dad, getting dirty and taking care of the grapes. For Tom Gore, farming isn't a profession, it's a way of life. 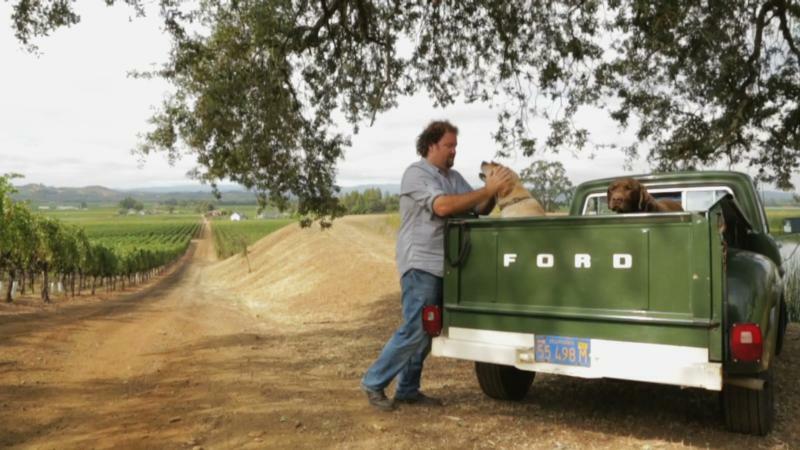 His family helped develop the vineyards of Northern California into a world-class winemaking region, and Tom's childhood was spent among the vines. He has worked every harvest since he was seven years old, and has always known farming grapes would be his life's work.s role and to create wines that prove what insiders have long known--great wines start with the work of a farmer. As Tom puts it, "Much like a chef needs outstanding ingredients to let a dish shine, a winemaker needs high-quality grapes to make a very good wine." Tom sees his wines as time capsules, or expressions of the growing season, and is most proud of explaining what he does as a farmer--connecting people to the earth and telling the story of where the wine comes from. The work of a farmer. Our Cabernet Sauvignon is dark red in color with aromas of currant and plum and wonderful hints of mocha and coffee on the palate. This wine is fruit forward with a supple mouthfeel and medium body.